After the long summer holidays, the Jujurha ELC is once again a hive of activity. We had an initial intake of 39 children, although this number is increasing weekly as children return from visiting families elsewhere. The children continue to amaze us with their independence and determination to come to school. 3 year old Paulos, pictured below eating porridge from a green bowl, arrived alone for his very first day at school (his father was driving the community tractor and his mother was working in the mealie field). He enjoyed every mouthful of hot breakfast and later insisted that the squiggles he produced during morning activities were ‘real writing’! Tuthuzela, my neighbour’s little boy, is in our youngest group (3-4 yr old class). This was his 1st experience of a puzzle and, after a few minutes of help from the assistant teacher, he was managing amazingly well! I noticed that he struggles a bit getting on and off his chair as he only ever sits on the grass or floor of their very humble home but, in a day or two he’ll have it sorted! Sadly, he will never have seen or eaten a real pear or the grapes he’s holding – but he will experience these and other fruity delights during the course of the year at Jujurha where we purposefully expose children to a range of tastes, textures and experiences beyond that which they would normally have the opportunity to enjoy in the village. Zine (below) is delighted to be back at ‘work’! Like most of the children, she loves it when her mother is on ‘kitchen duty’ at the ELC each family is required to help out once a month in food preparation in lieu of school fees). On those days, Zine’s little sister comes too, and enjoys playing with the special toys set aside for babies & toddlers. With the start of the new school year, we look forward to the continued growth and development of our various education projects! Plans for the appointment of a new Grade R teacher will free me up to spend more time on teacher training and development, community outreach, the development of the library and school mentorship programme and our after-school tutoring programme. 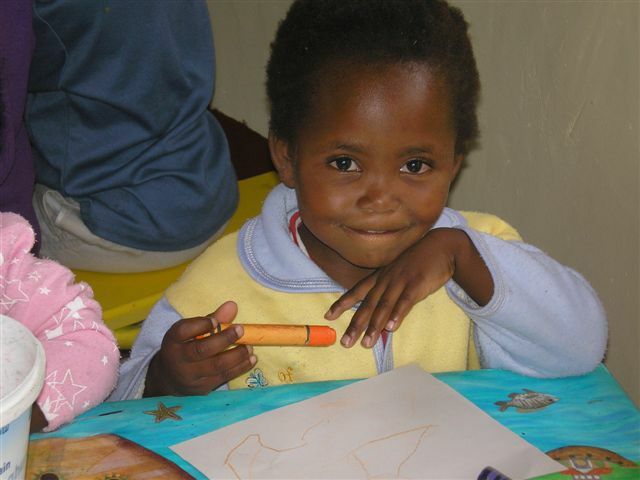 In this way, we plan to extend the impact of our education activities in Nqileni and surrounding villages. As always, we’ll keep you posted via the blog and newsletter, and welcome any comments and suggestions you may have!! 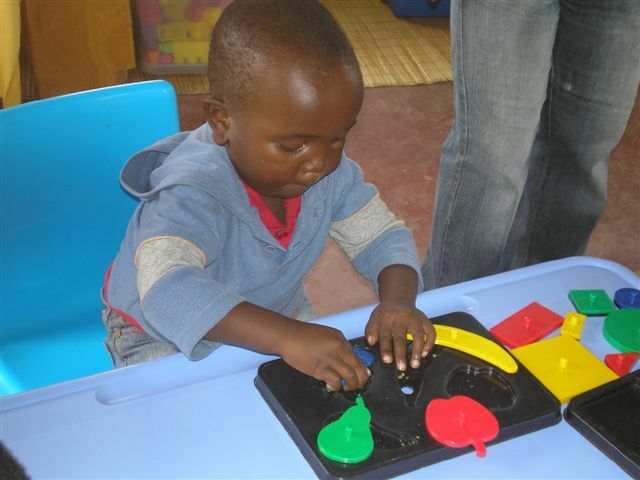 The Jujurha Early Learning Centre was made possible by the generous support of so many individuals and organisations!! Special thanks to Deutsche Bank, Nussbaum Foundation, Raith Foundation, Ford Alumni Association, Truworths, Solon Foundation, DG Murray Trust, Niehoffs Kaffeerösterei, JDI groups, Transnet, Glenday Family, Inglis Family, Leta Best and Friends, Julia Coletti and Friends. Your support has enabled us to change children’s current realities and future opportunities. THANK YOU. You made my day! Such an interesting newsletter and I love the delighful stories about your youngest preschoolers! Warm greetings to Sonia and Funeka. Wow Annette! Well done! What lovely pics and exciting things taking place! Wish this could be happening all over South Africa! Wow! I was delightfully surprised to receive your Newsletter. Thank you. I’ve been thinking of you all a lot lately & going to email Sonja. Please say “hi” to her. 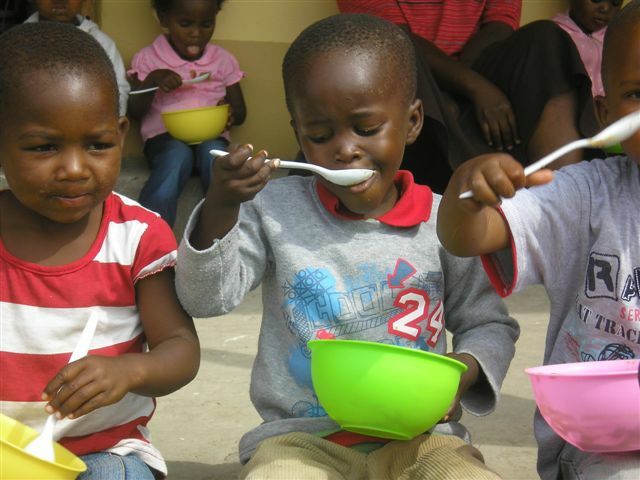 It just blows me away each time I see these precious children & what you’re all doing for them. I have a friend whose married to a Kenyan & they’re going back to live there in Kusumo. Jacinta is really keen to find out more re the idea of the Backpacker Lodge, as they’re going to set up a shelter for older children. Bulungula is a motivational example of what can be done in poverty stricken areas. It is always so good to read all the news of the school. I hope you have received the funds for the rain coats and gumboots? We are having Olympic fever here – so many visitors in Whistler. Yes Liz – thank you so much! !